South Shore Hospital made major improvements to their website this year, and Lois Wood was very proud to be part of the team small team that assisted in building this great site! The site was created in partnership with MEDSEEK, an industry-leading provider of e-Health solutions to healthcare organizations. 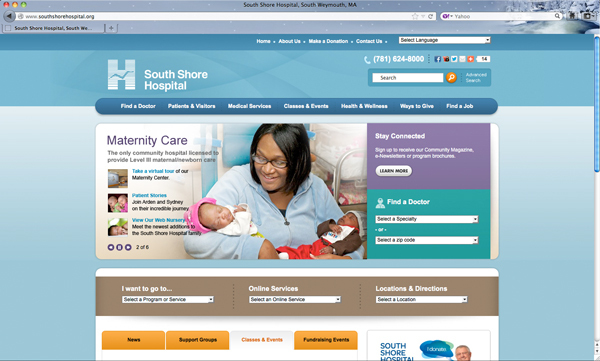 Over 1800 pages, South Shore Hospital's new website features great functions such as Find-a-Doctor, online registration for classes, online purchase of Gift Shop items, mobile accessibility, and much more.